Three months to the day of Daphne Caruana Galizia’s assassination, Luxembourgish MP Anne Brasseur (ALDE), Dutch MP Pieter Omtzigt (EPP) and German MP Frank Schwabe (SOC) announce an event to be held in her honour in the margins of the winter session of the Parliamentary Assembly of the Council of Europe in Strasbourg on 22 January 2018. The cross-party group of MPs will host Daphne Caruana Galizia’s three sons, Matthew, Andrew and Paul Caruana Galizia, who will talk about the context that enabled their mother’s assassination, the most important strands of her investigative work and why the ongoing investigation into her assassination demands close international scrutiny. 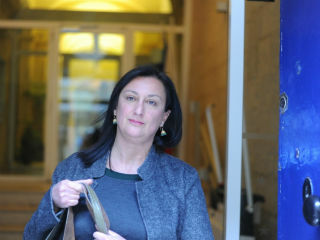 Daphne Caruana Galizia was Malta’s most prominent journalist. A household name in the country for three decades, she was best known among fellow journalists internationally for her Panama Papers reporting. Her most important investigative work uncovered corruption at the highest levels of Malta’s government, and its links to authoritarian regimes.